I’ve been rather disturbed at the number of professional publications and folks on this blog site who have stated something along the lines of “I am not Charlie”. Their general idea is that they do not support the violence but state they don’t support offensive behavior and so choose not to republish Charlie Hebdo images. Freedom of speech is an all in proposition. It’s either all okay, or none of it is. The New York Times or people on this blog site may not desire to offend or believe that Charlie Hebdo is in bad taste, but I suspect they have no desire to live in a world where ultimately anything they publish can be called into question over whether it’s offensive or not. The New York Times will not publish a cartoon of Mohammed because it’s considered offensive. Does that mean they also won’t publish a picture of a gay man because some people find that offensive? What about a picture of former President Bush or President Obama? Lots of people find that offensive or in poor taste. Whatever you write you’ll eventually get to a situation where what you put on paper is offensive to somebody. So when you draw a red line and say “I’m not going to publish this because I find it offensive” you are accepting the premise that there are limits on free speech. And then “free speech” is replaced by “proper speech”. When you accept that speech must have limits, there’s no limit to how much folks can limit speech. Governments, corporations, religion, cultural bullies, etc are all interested in limiting free speech because it suits their interests. When we the people self-regulate, self-censor, we are placing barriers on the greatest tool the individual has to fight power & money and maintain our liberty. You may personally find Charlie Hebdo offensive. Or you may find that folks like me are infringing upon your liberty by mandating you publish things you find offensive. But make no mistake, I’m not saying you must publish anything. You’re a free person too. Make your own decision. Republish or not, it’s your call. 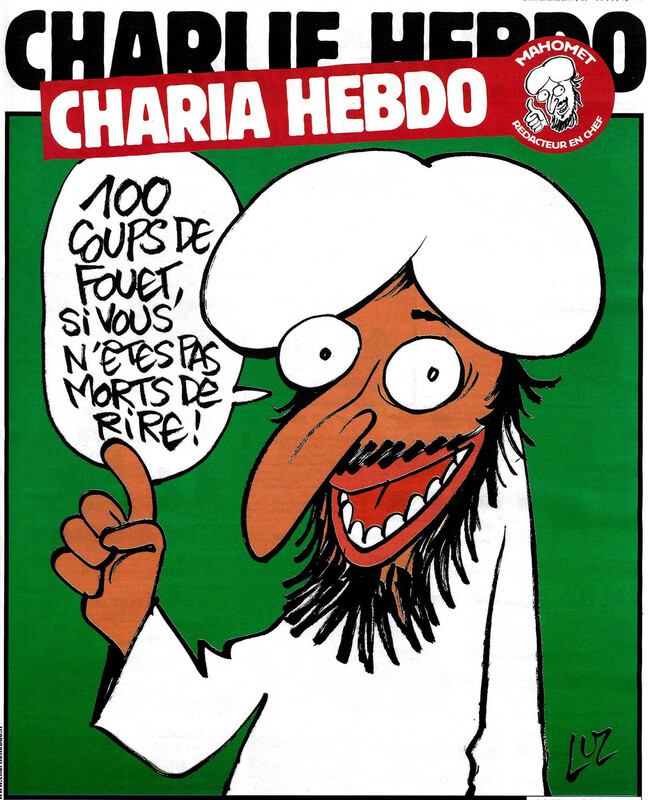 You can say you find Charlie Hebdo offensive and refuse to republish the images. Or you can say you support freedom of speech. But you cannot do both. You have to make a choice. Sorry. You may find this inaccurate or unfair, but life’s a cruel nightmare. If you don’t stand up for freedom, even if at times it requires you to do things you find offensive, then be prepared to see your liberty progressively eroded by the forces of darkness (whoever they might be). You might not be interested in offending men like this, but I assure you, they are interested in offending you. 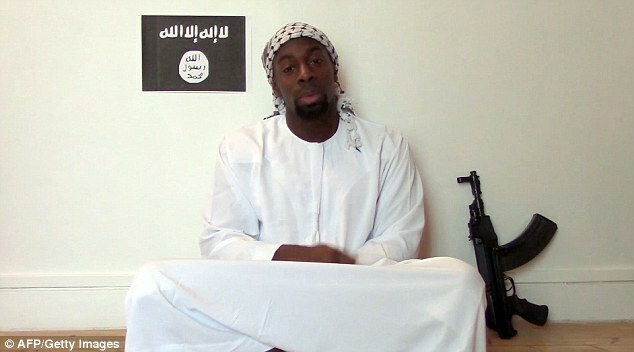 This is not just about Charlie Hebdo or Mohammed or religion. This man represents a force that wants to take your freedom. There are many like him across all aspects of our Earth. We have to fight back, wherever and whoever they are. It’s either all okay, or none of it is. Make your choice. I’ve made mine. I hope you’ll join me in choosing liberty first. Even if by doing so, you are guaranteed to offend somebody. Even if that somebody, is yourself. “It’s very hard. We are all suffering, with grief, with fear, but we will do it anyway because stupidity will not win,” [Columnist Patrick Pelloux] told the AFP news agency. Yes, yes indeed. And with such brave actions, we shall remain free, and darkness and stupidity is defeated.